A major flaw that has gone unrealized until now leaves the $1.5 billion Bitcoin market open to manipulation and a potential takeover, according to a new study by two Cornell University computer scientists. Bitcoin is a peer-to-peer online currency that is rapidly gaining mainstream acceptance. Instead of exchanging physical coins, users of Bitcoin use the Internet to record money transactions in a global ledger. This ledger is maintained by a peer-to-peer network of computers called miners, who are compensated with Bitcoins for their efforts. Conventional wisdom asserts that Bitcoin is secure against colluding minority groups of miners. But post-doctoral fellow Ittay Eyal and Prof. Emin Gün Sirer have discovered that the conventional wisdom is wrong. In a paper that was released on ArXiv today, they describe a mining strategy they call Selfish-Mine, which allows a group of colluding miners, known as a mining pool, to earn more than its fair share of compensation. Moreover, large mining pools can use this strategy to increase their revenue even more, at the expense of honest miners. The implications of this result are devastating for the system, say Eyal and Sirer. Once a selfish mining pool forms, other miners will want to join that pool to increase their revenue. This process could lead to a takeover, where the selfish miners become a majority, control the global Bitcoin ledger, and the decentralized nature of the currency collapses. Currently, any pool can employ Selfish-Mine and start a mudslide. Eyal and Sirer suggest a practical fix of the protocol that would prevent pools smaller than 1/4th of the system from employing Selfish-Mine. They warn, however, than pools this large do exist today (for benign reasons), and they should be dismantled for the system to be immune to selfish mining. 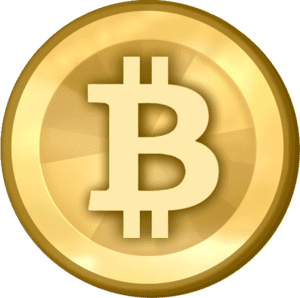 April 17, 2019 - What Makes Bitcoin So Tantalizing To Own And Use? Industry Execs Weigh In newsBTCSatoshi Nakamoto, the pseudonymous creator of the Bitcoin (BTC) project, always expressed an inkling of mistrust and cynicism towards centralized. April 16, 2019 - Strong Evidence Suggests a Single Entity Mined More Than 1 Million Bitcoin Bitcoin NewsOn April 16, RSK Labs chief scientist Sergio Demián Lerner published a new research study concerning the earliest blocks mined on the Bitcoin network. April 17, 2019 - Bitcoin Price Will Hit $1 Million in 2020 Because Maths, Stupid: John McAfee CCNJohn McAfee keeps faith in his bitcoin price prediction, but it might be quite some time before we see a $1 million bitcoin. April 16, 2019 - US District Attorney Indicts Three for Laundering Millions With Bitcoin CointelegraphNews. The Manhattan district attorney has indicted a group of individuals with allegedly selling drugs and laundering millions of dollars with bitcoin (BTC). April 17, 2019 - Bitcoin Investor: Thai Military Wants Me Dead Over SeaStead Project newsBTCAn early Bitcoin investor's short-lived dream lifestyle has turned into a nightmare after the Thai navy has accused him of breaching the nation's. April 17, 2019 - Sweden Changed Its Official Currency To Bitcoin (For 30 Minutes) BitcoinistHackers convinced Twitter to give them control of the account for Sweden's ruling political party – then used it to change the country's official currency to Bitcoin. April 17, 2019 - Will Bitcoin Ever Replace Fiat? CoinCentralWill Bitcoin ever replace fiat? We take a sober view of some fundamental differences and ponder why it should be an either/or argument. April 16, 2019 - A Trump Policy Could Push People Toward Bitcoin ForbesTrump, who will be seeking his second term as U.S. president in 2020, is weighing a remittance tax on money sent home by people living in the country illegally. April 17, 2019 - Bitcoin / USD Technical Analysis: Critical Round Crypto BriefingBTC / USD Technical Analysis - A renewed bullish bias for Bitcoin might not last for long if it fails to move above the $5500 level. April 17, 2019 - Bitcoin Faithful Ignore Crypto Donation Drive to Rebuild Notre Dame CCNA bitcoin donation drive to raise money to rebuild the Notre Dame Cathdral in Paris, France has not gained much traction in the crypto community. April 16, 2019 - McAfee: Bitcoin Below $1 Million is Mathematically Impossible by 2020 newsBTCIt is impossible for the bitcoin price to stay below $1 million by the year 2020, said John McAfee. The British-American cybersecurity expert cited basic. April 16, 2019 - UK and Europe-Based Users Can Now Buy Bitcoin Cash Inside the Bitcoin.com Wallet Bitcoin NewsAs of April 15, 2019, Bitcoin.com Wallet users in the UK and Europe can now purchase bitcoin cash (BCH) from directly inside the wallet. April 16, 2019 - Industry Exec: Bitcoin To Be The “Escape Hatch” In Impending Global Recession newsBTCIn the eyes of many across the globe, including anti-establishment figures, credited and established economists, and consumers, the macroeconomy could be. April 17, 2019 - Market Update: Bitcoin Still Well Above $5,000 As Bitcoin SV (BSV) Struggles ZyCryptoEver since Bitcoin successfully surged past $5000 a few weeks ago, it's consistently been oscillating around that mark, going up and down as. April 17, 2019 - Traveling The World On A Single Bitcoin ETHNewsArchitect-turned-filmmaker R.R. Hauxley talks about traveling the world on one bitcoin, meeting John McAfee and Vitalik Buterin, and the global crypto culture. April 15, 2019 - Mysterious Message From Space Leaves Clues to $1 Million Bitcoin Bounty newsBTCA Twitter user has received a mysterious message via the Blockstream satellite detailing a hunt for $1 million in Bitcoin. According to the. April 15, 2019 - Bitcoin Price Weekly Candle Could Be Omen Of Painful Drop Incoming newsBTCThe movement between the recent daily low and high, has caused the weekly Bitcoin price chart to close with a doji, which signals indecision in the market. April 17, 2019 - Brexit’s Surprising Side-Effect: Stiffer Bitcoin Regulations CCNWhen Brexit finally arrives, it could have a surprising side-effect for the UK's crypto industry: stiffer regulations on bitcoin. April 16, 2019 - Crypto Trader Warns Bitcoin Whale Rally Not Sustainable – BTC, Ethereum, XRP, Litecoin Forecast The Daily HodlFormer Wall Street trader and vice president at JPMorgan Chase, Tone Vays, says unless Bitcoin can hold above $5,200, he expects the price of BTC to fall. April 15, 2019 - Bitcoin, Ethereum, Ripple, Bitcoin Cash, Litecoin, EOS, Binance Coin, Stellar, Cardano, TRON: Price Analysis April 15 CointelegraphPrice Analysis. The views and opinions expressed here are solely those of the author and do not necessarily reflect the views of Cointelegraph. April 15, 2019 - HTC Exec: Facebook Coin is like the Intranet, Bitcoin is like the Internet newsBTCAs the Bitcoin bear market ran its course through 2018 and early-2019, Facebook quietly entered the cryptocurrency and blockchain space. While the details. April 14, 2019 - Bitcoin Price above $3,000 is Good News for Bulls: Analyst newsBTCBitcoin price above $3000 is good news for bulls, according to Crypto Michael. The full-time trader and cryptocurrency commentator said bitcoin scaling. April 14, 2019 - Bitcoin Hovers Near $5,100 as Top Cryptos See Mixed Movements CointelegraphNews. Sunday, April 14 — the top 20 cryptocurrencies are reporting mixed movements on the day by press time, as Bitcoin (BTC) hovers near the $5,100 mark. April 2, 2019 - Bitcoin's Value Suddenly Surged, But Nobody's Really Sure Why TIMEAn surge in Bitcoin sent the world's most popular cryptocurrency to the highest level since November, jolting the $160 billion market. April 14, 2019 - Why Bitcoin Isn’t In The Clear Yet, Despite BTC Rally Past $4,600 newsBTCIt would be hard to deny that the past two weeks have been integral for the long-term prospects of Bitcoin (BTC). It staved off collapsing below the. April 15, 2019 - Markets Update: Bitcoin Cash Leads the Pack With Double Digit Gains Bitcoin NewsOnce again, bitcoin cash (BCH) is leading the pack this Monday with a 13% gain over the last 24 hours, outshining every coin in the top 20. April 16, 2019 - French Crypto Enthusiasts Appeal for Bitcoin Donations to Rebuild Notre-Dame Cathedral newsBTCFrance's crypto community has launched a Bitcoin donation appeal to help rebuild Notre-Dame cathedral following a tragic fire last night. March 22, 2019 - Majority of bitcoin trading is a hoax, new study finds CNBCNinety-five percent of spot bitcoin trading volume is faked by unregulated exchanges, according to a study from Bitwise this week. April 16, 2019 - Bitcoin Lightning Network Passes 8K Nodes as Mainstream Products Emerge BitcoinistThe Bitcoin Lightning Network scaling protocol has passed a *fresh* landmark of 8000 nodes as a new solution launches to increase its mainstream usage. April 13, 2019 - Crypto Tidbits: Harvard Goes Crypto, China Bitcoin Mining ‘Ban’, Bakkt Nears newsBTCAnother week, another round of Crypto Tidbits. While the Bitcoin price actually stagnated over the past week, falling from $5450 to $5000, the. April 13, 2019 - IMF Launches Private Blockchain-Based ‘Crypto’ After Bashing Bitcoin newsBTCPrivate blockchains seem to be all the rage as of late. Mere weeks ago, JP Morgan Chase launched a private version of crypto network Ethereum, Quorum, to. April 13, 2019 - FSA-Approved Bitcoin Exchange Set to Go Live in Japan newsBTCA new bitcoin exchange in Japan is set to go live on April 16 this year. Decurret Inc. in March obtained a license from Japan's Financial Services Agency. April 13, 2019 - Bitcoin Hovers Near $5,100 as Top Cryptos See Slight Losses CointelegraphMost of the top 20 cryptocurrencies are reporting slight losses as Bitcoin hovers near the $5100 mark. April 9, 2019 - Bitcoin Cash 2019 Returns Double Those Of Bitcoin ForbesBitcoin cash prices have risen far more than those of bitcoin in 2019. What caused this outperformance? April 12, 2019 - Overwhelming Majority of Bitcoin and Crypto Investors Refuse to Report Taxes newsBTCAccording to a new poll shared on Twitter, bitcoin and crypto investors are refusing to report the crypto-related gains or losses on their taxes.